I wrote last week about the struggle to keep our allotment going and my decision to ask my Mum to be our partner. This week was our first session on the site together. 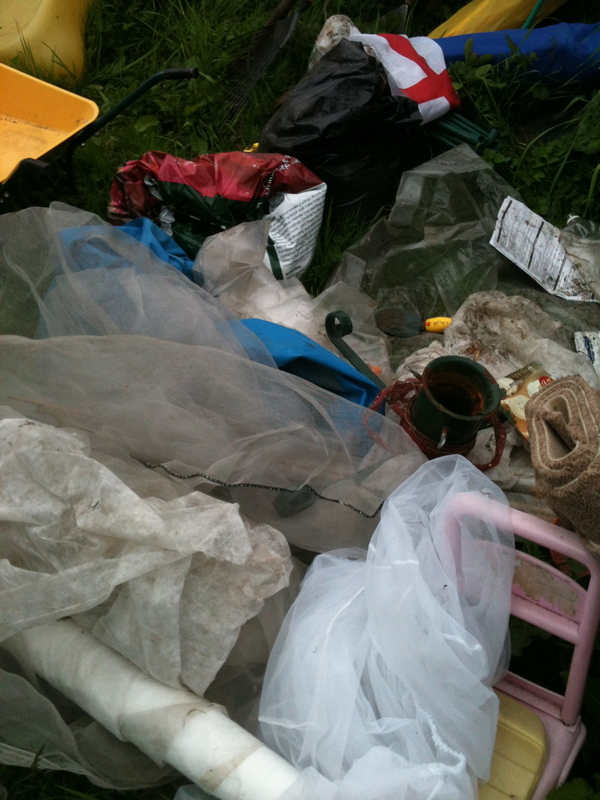 The first thing Mum said once she’d agreed to help us was that we had to tidy the shed. Although my inner teenager rolled her eyes and prepared to stomp around about it, my outer adult agreed with her. This photo, taken once we’d got everything out of the shed, proves she was right. Never argue with my mother! Clearing out the shed feels like a winter job really, but the weather this year has been so troublesome, and today felt distinctly autumnal anyway. 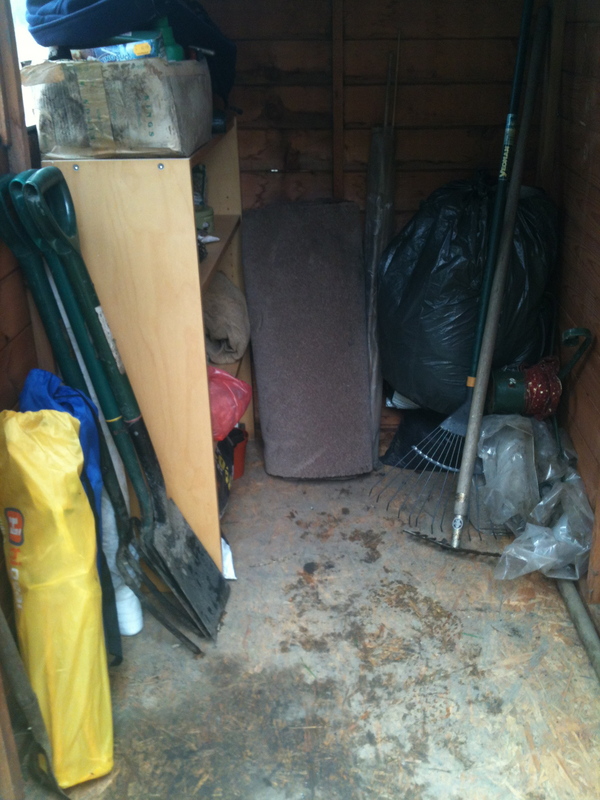 Plus, the after photo shows that it’s actually tidy now and will be much more practical. No more wrestling with a tangle of netting every time I want to take a fork out of the shed! There is also now quite a lot of unused space in it that we can put to good use later on. 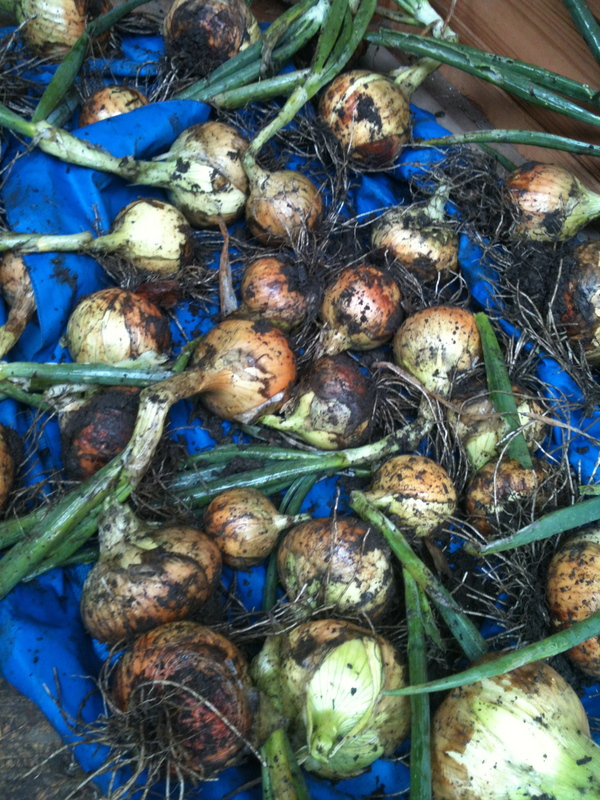 Once the shed had been sorted out, we spent a bit of time digging over an empty patch of the plot that should have been my flower cutting patch but has gone horribly wrong and then pulling up the onions. These have been in the ground a bit too long and so are enormous. I just hope they don’t rot. After an hour’s worth of work we set off to the garden centre to pick up a few things and make plans for the autumn – although it feels early to be thinking of the next season, the summer has been a bit of a washout. Rather than focus on what has gone wrong, I prefer to look forward to what’s next. This feels like a bit of a fresh start for us all, and I’m more enthusiastic about the promise of the allotment than I have been for ages. Clearing out the shed, although in itself quite a dull job, felt like an announcement that we’re serious about it once again. Working with Mum was really companionable, because we get on so well and it was easy to see how much difference an extra pair of hands working with us regularly will make. I’m excited to see what we will manage to produce over the next year. Needless to say my plans for the place have expanded in an enthusiastic fashion!